In developing quality product, we are keenly aware of few important factors such as quality standards, workers performance, production know-how, and equipment reliability and raw material quality. In achieving consistently high quality products and passing the WHO and ISO standards, we recruited a prominent British condom expert to assist and guide our employees to acquire the best condom production know-how and to manage the consistency of our high quality products. 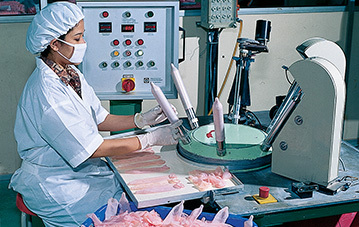 Combining the state-of-the-art automatic dipping machinery from Germany with stringent control and supervison of our products, Simplex is considered one of the most reliable and safest condom products available in the market. Lush tree to provide a healthy working condition with natural features of environment and fresh air surround neat and clean factory buildings. Spacious land around the existing factory is available for future expansion. 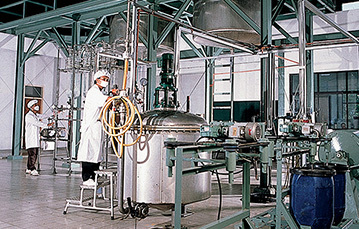 German made compounding equipment is used to ensure consistently reliable latex condom product through perfect latex compounding process. Dust-free and filtered air room (rival clean room environment in the hi-tech equipment manufacturing) is equipped with state-of-the-art automatic dipping machinery from Germany. The production is under strict supervision by our experience supervisors who were trained by the expert from Great Britain. Electronic tensile machine tests the condom tensile strength, elongation and force, in compliance to quality assurance. 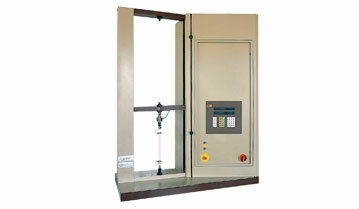 This imported machine is used to test condom bursting volume and pressure. It is also used to check the evenness of the rubber film. 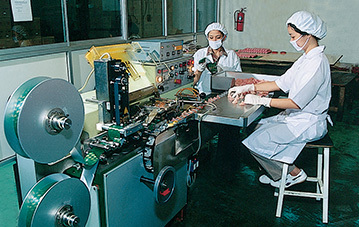 By using this ultra sensitive pinhole-testing machine, each condom is electronically tested in a special air-conditioned room with tight humidity regulation to ensure that Simplex is the highest quality product available in the market. Every condom is lubricated and hermetically sealed. 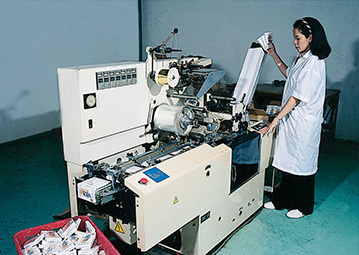 Automatic wrapping machine applying convenient tear tape system for best protection and luxury. Available through the use of "gamma ray" radiation. Simplex condom is a product resulting from combination of supreme latex material, latest latex production technology and the reliable equipment from Germany. Each Simplex condom has to pass electronic pinhole test while every batch of condoms has to pass random burst test. 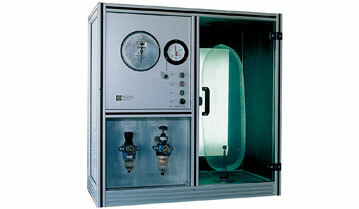 Electronic water test is carried out in order to ensure that each condom produced will be of maximum reliability. Simplex condom are produced in plain, contoured, ribbed and dotted form to enhance the experience.